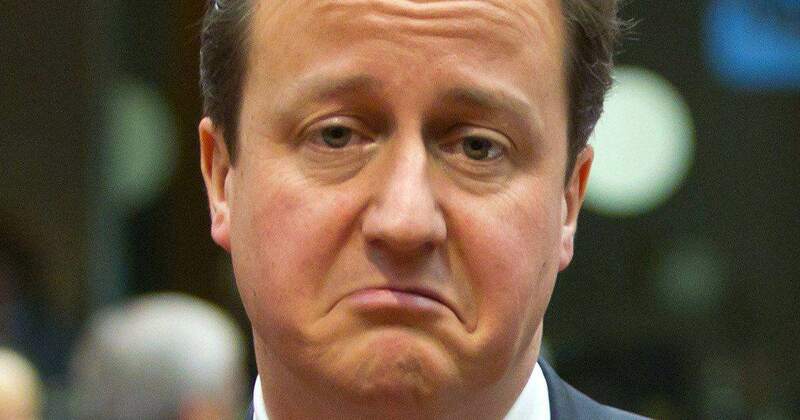 It’s fair to say David Cameron has pretty much pissed off the entire nation recently with his tax avoidance escapades. The Panama Papers revealed the PM and his dad were involved in a company in the Bahamas to avoid UK taxation and ultimately profiting from it. With calls to resign coming from every possible angle, it seems one guy has taken it upon himself to speed up the whole ‘get rid of David’ process, by putting him on eBay of course. Genius. I suppose we’ve got to make that unpaid tax back on him somehow, so maybe this is a good way forward? Well it could have been, but sadly the killjoys at eBay cottoned on to the prank pretty quickly and deleted the listing. Shame. 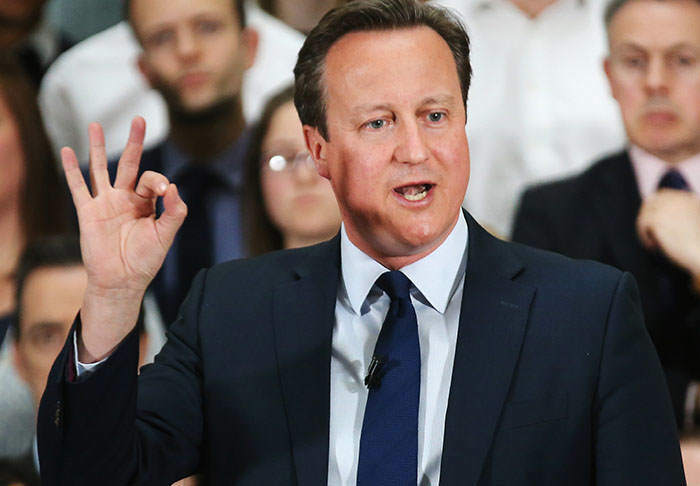 Used Prime Minister. No longer needed. Needs a bit of TLC. No box or instructions. Buyer must collect. Seller not prepared to touch item. Pick up from central London, address will be supplied on completion of sale. Buyer must arrange own transport. 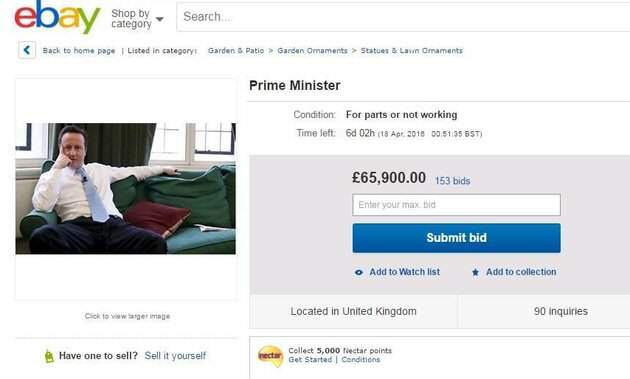 He might not be very popular with the British public at the moment, but David Cameron seemed to be on the auction site, receiving 153 bids, with one bidder even offering £65,900 for the PM (a bit pricey if you ask me). Oh internet, you’ve done it again!